Even before he knew what was happening, West Bend High Schools orchestra teacher Seth Matuszak knew something was up. The giggling gave it away. Much to the surprise of Matuszak, the WBHS orchestra department has a new pet fish. West senior Abby Haas and East sophomore Lenore Holcomb purchased Scales the beta fish on March 12. “It was just a joke,” Haas said. After being asked if the students could buy a cat for him, Matuszak responded that the responsibility would be too great for him at this time. Instead, the students inquired about a pet fish. He was more receptive to this idea. “I decided I was getting a fish for him,” Haas said. Holcomb and Haas split the cost of the fish, food and tank. They are also responsible for feeding Scales each day. “I was pretty shocked, but I wasn’t mad,” Matuszak said. The name for the pet was inspired by the musical scales played as a warm-up each day at the beginning of class. “We play scales and he has scales, so why not?,” East senior Greta Polinski said. 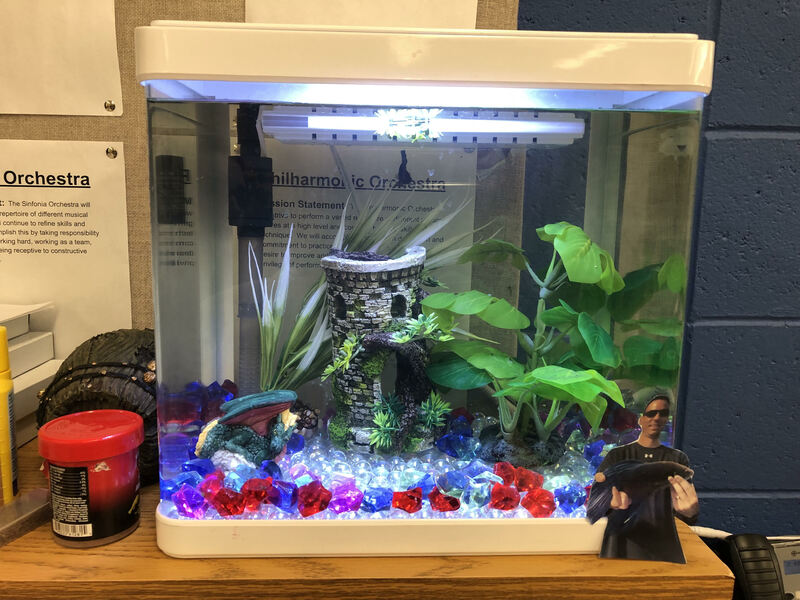 The fish quickly absorbed the attention of many students on his first day. However, some students feel the fish addition was random and nonessential. It is undeniable that Scales has become part of the orchestra department’s identity. While the orchestra students went on the traditional Scotland trip over spring break, Scales was looked after by East senior Jackson Buck. He will also provide care during summer break. The students felt the fish needed to be shared with those who are not involved in orchestra. 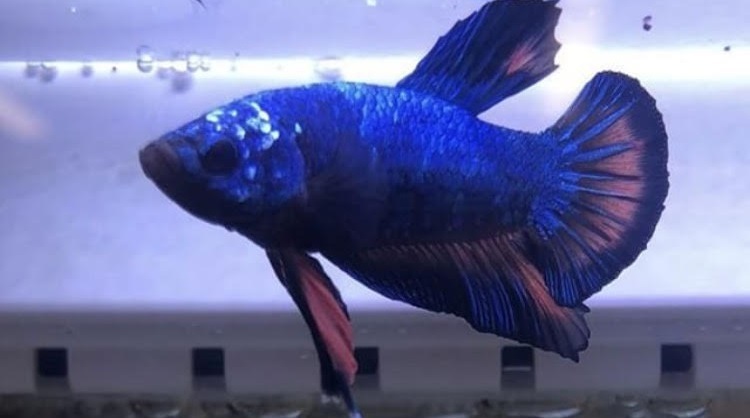 As a result, Scales has an Instagram where pictures of him are shared. The username for the account is @scales_the_orchestra_fish. “Overall, I think the idea is well-received and all in good fun,” Matuszak said.